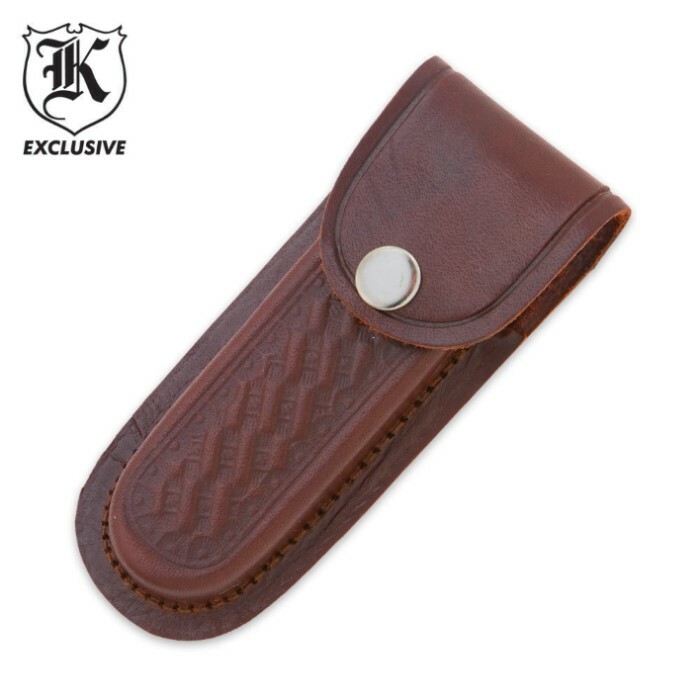 Leather 5 Inch Knife Sheath | BUDK.com - Knives & Swords At The Lowest Prices! This genuine leather pouch style sheath features a snap closure. Designed for any folder that is 5" closed. 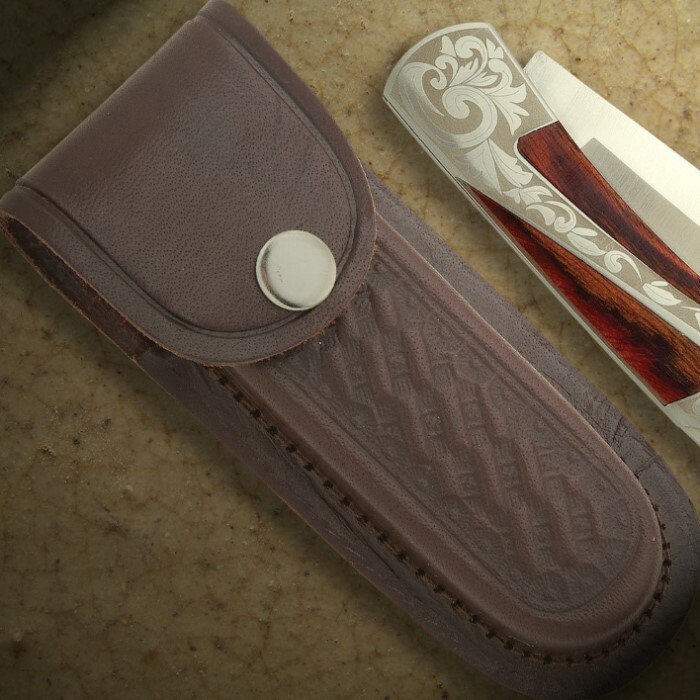 A nice sheath for the money. As stated, most 5 inch knives fit it. My 5 inch knife just happens to be a bit thick to fit nicely. I will oil it and hopefully stretch the sheath out a bit. I can use it for another 5 inch knife.